Exposure to fumes emitted by cleaning products in the home could cause asthma in children, a study shows. The study found that children exposed to higher levels of volatile organic compounds were four times more likely to suffer from asthma than children who were not. Volatile organic compounds (VOCs) are found in solvents, paints, floor adhesives, cleaning products, polishes, room fresheners and fitted carpets, the study said. The study included 88 children who were treated for asthma at the emergency department of the Princess Margaret Hospital in Perth. Use the most natural cleaning supplies, always buy them at the health food store. Remove carpets, they are extremely toxic, a mold and dust collector and a major health hazard not only for asthma and respiratory disease but also for your entire health. When painting use only the best non-toxic paints available. Purchase the best air purifiers that have a combination of ionization, ozonation, and ultraviolet. Do not look at asthma and respiratory disease as diseases to take something or do something to get rid of them. There are steps you can take to help manage asthma and respiratory disease which have been mentioned in these articles but the most important step is to not look at the effect which is the disease but instead focus on the cause, the root cause of imbalance in your body, mind and emotions that will cause anything from asthma to cancer to depression to heart disease. Take your eyes off the things and start a journey into total health so that you will make an environment where NO DISEASE, CONDITION OR SYMPTOM could ever develop or grow in. 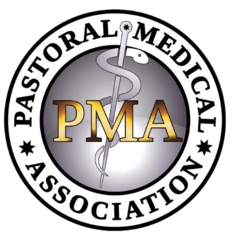 Remember your problem is not your asthma or your respiratory disease, it is not your cancer, diabetes, autoimmune disease, your chronic fatigue, Fibromyalgia your anxiety/depression. Your problem is that you have broken the fundamental law of sowing and reaping and have not taken care of your body (the temple of God’s Spirit). 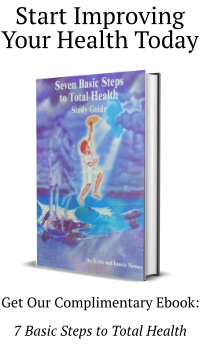 You are not living the 7 Basic Steps to Total Health™. Asthma is linked to carbohydrate maldigestion/malabsorption so get away from the refined sugar and flour. They will always make it worse. Asthma is related to general maldigestion from the stomach. This is why those with reflux or heartburn have a higher incidence of asthma. Start decreasing the digestive load by eating more living/raw plant food which are uncooked and higher in enzymes. When food is cooked the enzymes are destroyed which causes a tremendous digestive burden for your system. This result in heartburn, reflux, constipation, diarrhea, bloating and gas. This will change as you eat less cooked food more living/raw plant food. If you eat cooked food make sure you take digestive enzymes with every meal. Dairy products are the number one food allergen and they clog and congest the sinuses, respiratory tract and the digestive tract. This clogging and congestion will worsen all respiratory tract disorders, so eliminate them as soon as possible.